Rushing — West Linn, Dawson Jolley 20-178, Ethan Long 11-17. Sheldon, Matthew Burgess 28-140, Michael Johnson Jr. 18-78, Lane Shields 1-3, Zach Folsom 1-1. 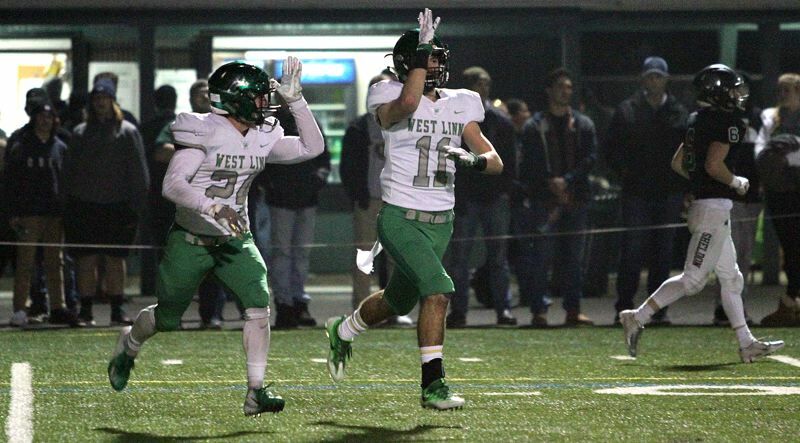 Passing — West Linn, Long 17-27-2, 230 yards; Casey Tawa 1-1-0, 4 yards. Sheldon, Johnson 6-12-1, 131 yards. Receiving — West Linn, Cade Knutson 7-137, Brodie Corrigan 4-38, Tawa 3-31, Jake Mastrandrea 2-15, Tanner Moore 2-13. Sheldon, Folsom 5-126, Patrick Herbert 1-5.